1. 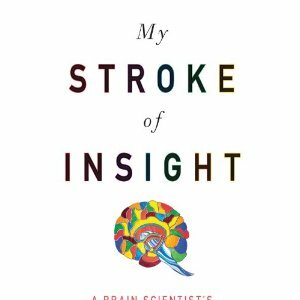 The audio book of My Stroke of Insight by Jill Bolte Taylor. I've ran and walked my neighborhood streets morning and afternoon listening to Jill, a brain scientist, who at the age of 37 has a brain hemmorage, a.k.a. 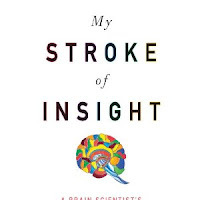 stroke!, and not only lived through it, but recovered from it completely and was able to write this book telling us all about it. I learned so much about my brain, about how the two hemispheres work together, and how unbelievable and magical it is. I am amazed at what my brain can do. By the end of Jill's audio book, I felt like she was my friend. She had such an amazing story to tell, and she was able to distract me from my sadness for hours. 2. DVDs of "The New Adventures of the Old Christine". I saw these at the library one day and since a friend of mine had recently mentioned how funny it was, I brought the first season home. Thank you Julie Louis-Dreyfus for making me laugh. I've got 5 seasons to work my way thru, but just found out the show was cancelled. Please! Somebody!! Bring it back. Why was a show like this cancelled? 4. The above were all great distractions. But I've saved the best, and most meaningful for last. The following are sweet and loving gestures from family, close friends, and friends I've met thru my blog. Thank you so much for offering up such kindness to me and Fermin. 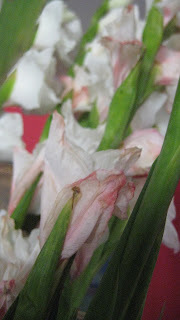 and all of the phone calls, emails and comments left on my blog offering sweet condolences. Sweet Kerri, my tears are flowing as I write this. I have been absent from your blog and have just read the sad news about your beloved Zoe and Scout. My heart aches for you and your husband, knowing how special and important your companions were to you. To lose them both together is heartbreaking. I have lost my own dear companions to know the emptiness you must be feeling, as well as the ache that is both love and grief during this time. I am sending you love and light and my sincerest condolences to you and your family. Hi Kerri, I've been thinking about you,checking to see if you posted on your blog, wondering how you were doing...I'm glad these distractions/sweet gestures have made you feel a little bit better, looks like you have a ton of support in dealing with your loss which is exactly what one needs during a difficult time. 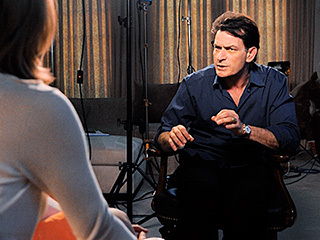 What a media circus Charlie Sheen has created. I just spent the last hour and a half watching interviews with him on Dateline and 20/20. Yikes! P.S. One audition went well, the other not-so-well! Oh Kerri...so sorry about your dogs. We have 3 and they are so dear to us. The fact that they went together must help a little. We lost a dog right before Christmas last year and it was very sudden, so hard. In July we got a new puppy and he has helped heal the pain of losing Lucky. I know lots of people just don't get the dog thing, but they are so special and teach us how to truly love. Prayers and love are with you. Glad you have lots of support. I didn't know they cancelled "The New Adventures of Old Christine", I love that show! They also cancelled "Better off Ted", now that was another funny show! My favorite Sheen quote... "I've got a 10,000 year old brain and the boogers of a seven year old. That's how i describe myself." Dear Kerri, I have been traveling and am also behind, but I did read the post about losing your sweet friends. I have been there (with one at a time), but losing 2 - well, that's just too much. For those of us without kids, they are such a HUGE part of our lives, aren't they? I am reaching over to pet mine as I write. My heart and sympathies go out to you both. I'm so glad that you are sharing and have thus been the recipient of many kindnesses. I have heard Jill Taylor on Oprah radio - so fascinating. I may have to check out the book. And Old Christine? I know - why are the best shows always canceled??? No one asked me!! Love to you as you navigate this difficult time. Hi Kerri--I'm so glad you're finding a way to smile during these difficult days. I love "Christine"--I didn't start watching until the 2nd season though, so I'll be adding season one to Netflix. My favorite Charlie Sheen quote was on Piers Morgan's show as he was talking about allegations that he hit a woman. He said he pushed her away, but didn't hit her. Then he mused... "She was attacking me though, um, with, like, a small fork. Like a cocktail fork, and I think she had it with her. That's the weird part. What was she doing with, like, a shrimp fork in her purse? She stole it clearly. From a buffet." I just had two difficult days because I thought Sabino was very sick. He was very depressed and refused to eat, but luckily it was just an infection to his mouth. The vet gave him anibiotics for five days, and now he's fine again. I got so scared. Anyway, I'm glad you're reacting so well. Trying to distract yourself from pain it's a good thing. One day the pain will be gone for good and leave space for good memories only, and I hope this happens soon. thanks so much for the comments and continued sweetness- i feel the love and appreciate it so much. and oh. my. gosh. not to laugh at someone else's expense, but yes!!! i will- valerie, that youtube clip of the model falling is hilarious, and the newreporter's laughter is so contagious. i LOVED it and it definitely made me laugh. THANK YOU!!! everyone, click on that link!! :) and then watch yourself if you're walking in heels today! Healing takes time, and it looks like you have found some wonderful people and things to help you on the journey. I heard about the Jill Bolte Taylor book when reading about Rep. Gabrielle Giffords injury and have added it doubly to my reading list after your review.